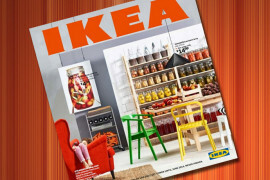 IKEA kitchen hacks mean big business for a number of brands. 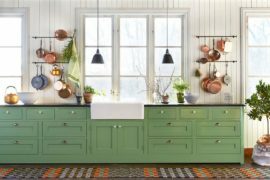 And rather than buying and installing an entirely new kitchen, consumers are able to replace/update fronts, countertops, handles and legs: it’s an affordable solution that provides a bright, clean and up-to-date kitchen. 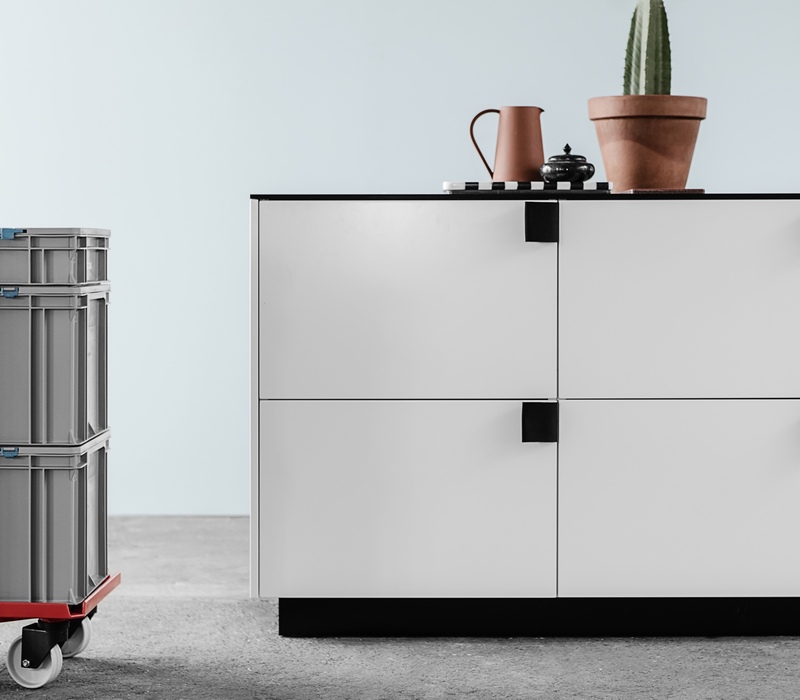 Danish company Reform specialises in hacking and redesigning IKEA kitchens. 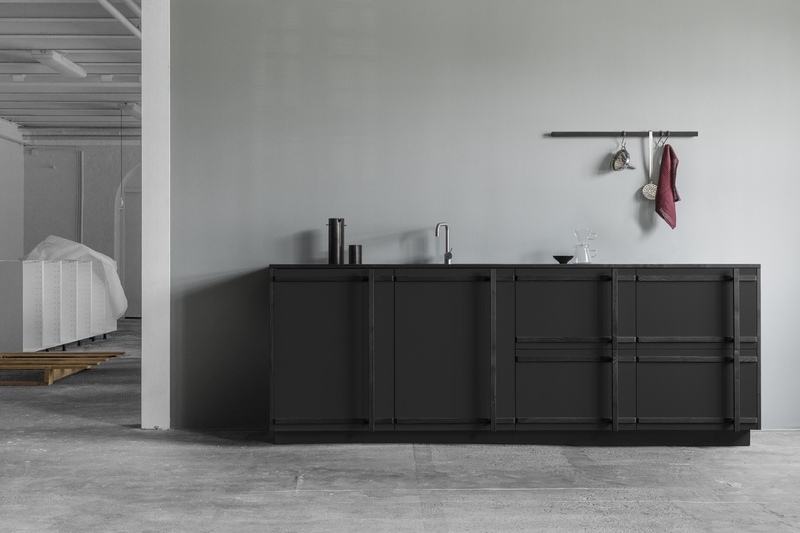 Offering a number of smart designs, Reform collaborates with Danish and internationally acclaimed architects and designers, to ‘reform’ the fronts and countertops of IKEA’s various kitchen models. 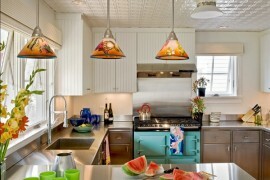 Architect and design studios include BIG (Bjarke Ingels Group), Norm, Chris Liljenberg Halstrøm and Henning Larsen. 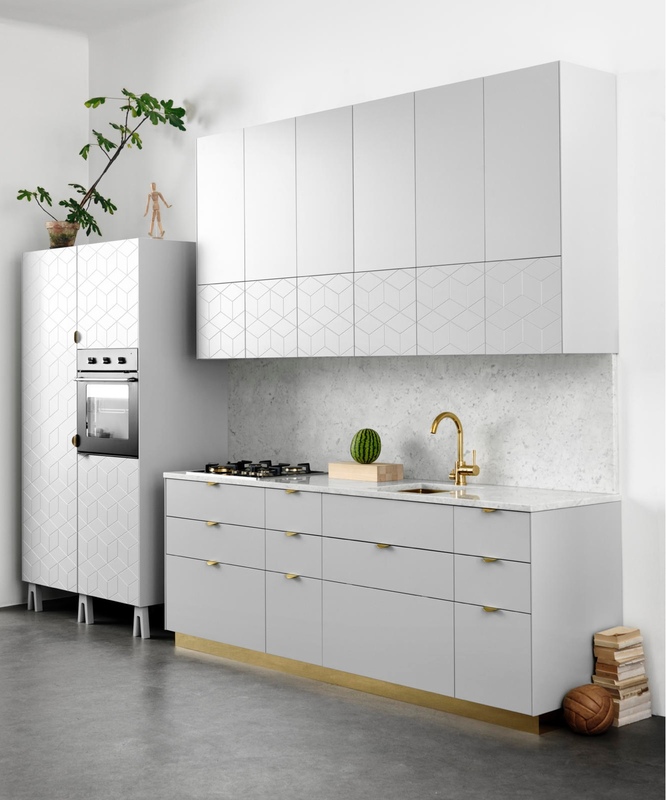 Reform’s focus on minimalism, aesthetic presentation, functionality and longevity, works to ensure its IKEA kitchen hacks will endure. 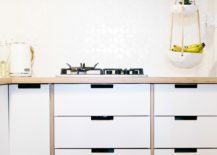 An IKEA kitchen hacked by BIG for Reform. 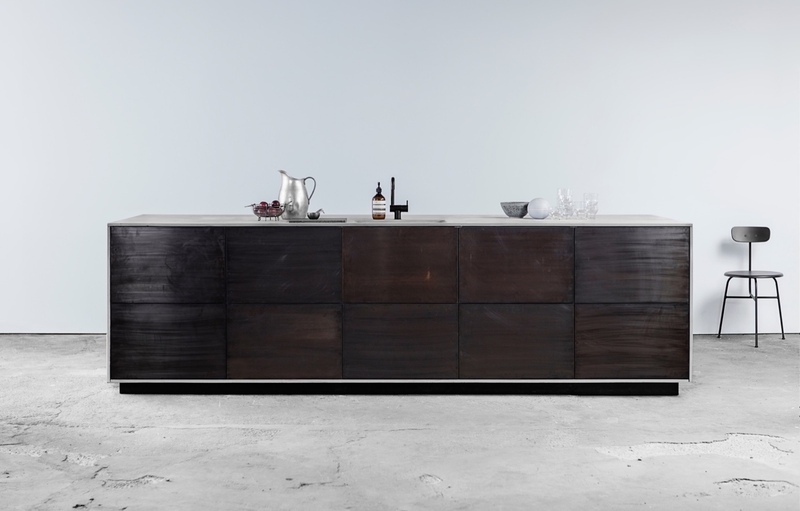 The veneered front is European oak coated with clear wax. 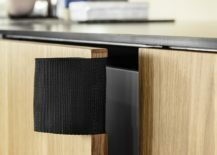 The BIG kitchen handle is made using black woven nylon (similar to that used for seat belts). 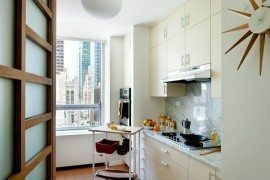 BIG kitchen hack with a painted matt white front. 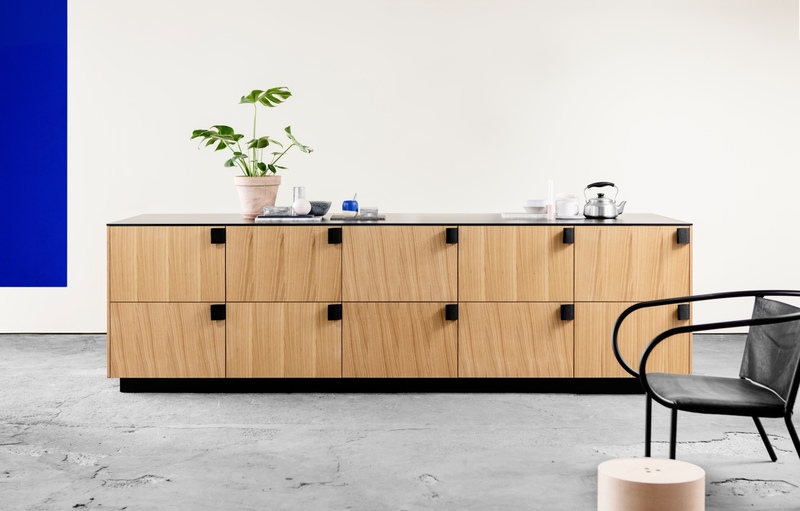 An IKEA kitchen hacked by Norm Architects for Reform. 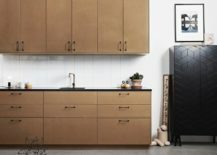 Drawer fronts and doors are made in bronzed tombac. 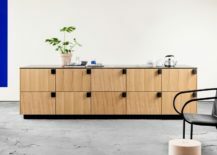 Norm Architects kitchen hack with drawer fronts and doors made in sawn smoked oak veneer. 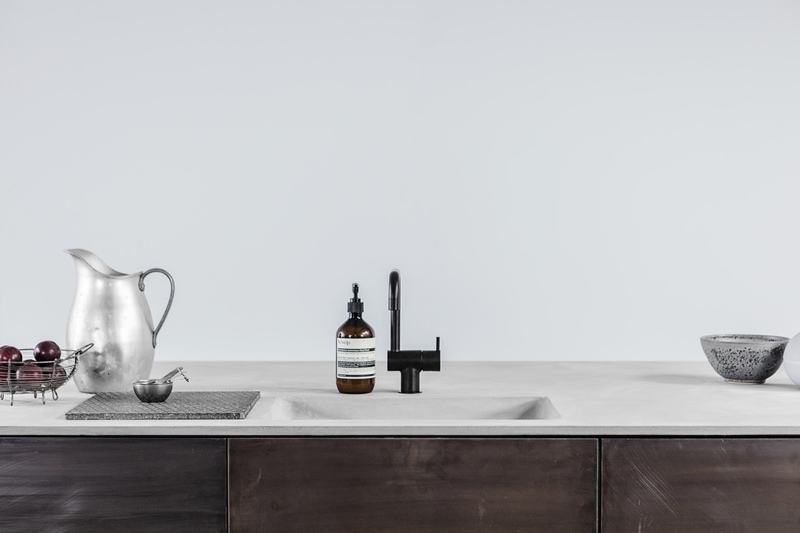 Norm Architects countertop in fibre concrete. 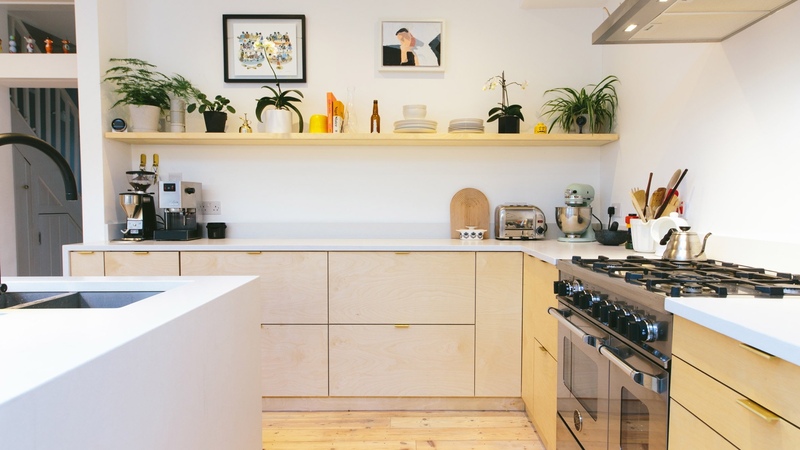 An IKEA kitchen hacked by Chris Liljenberg Halstrøm for Reform. 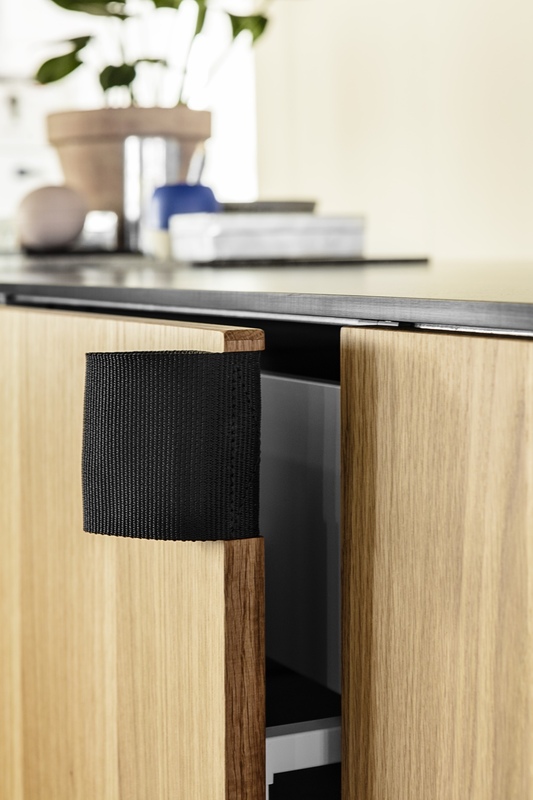 Drawer fronts and doors are laminate in the colour ‘Nero’, with darkened ash for the edges and handles. 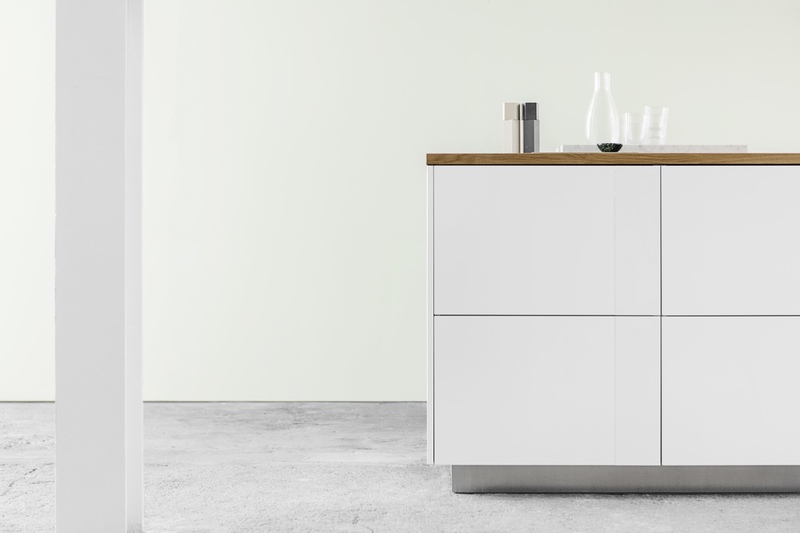 An IKEA kitchen hacked by Henning Larsen Architects. 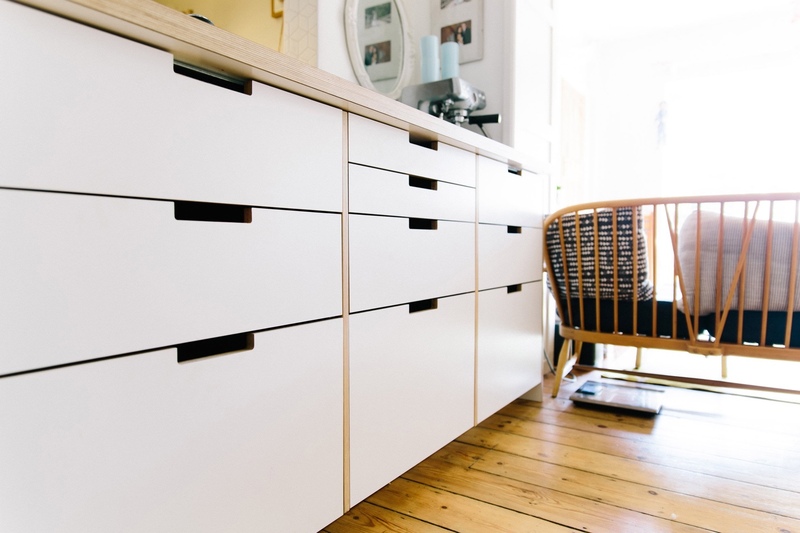 Drawer fronts and doors are spray-painted white with a metal band painted in the same colour. 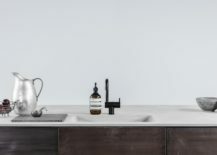 The countertop is solid oak. 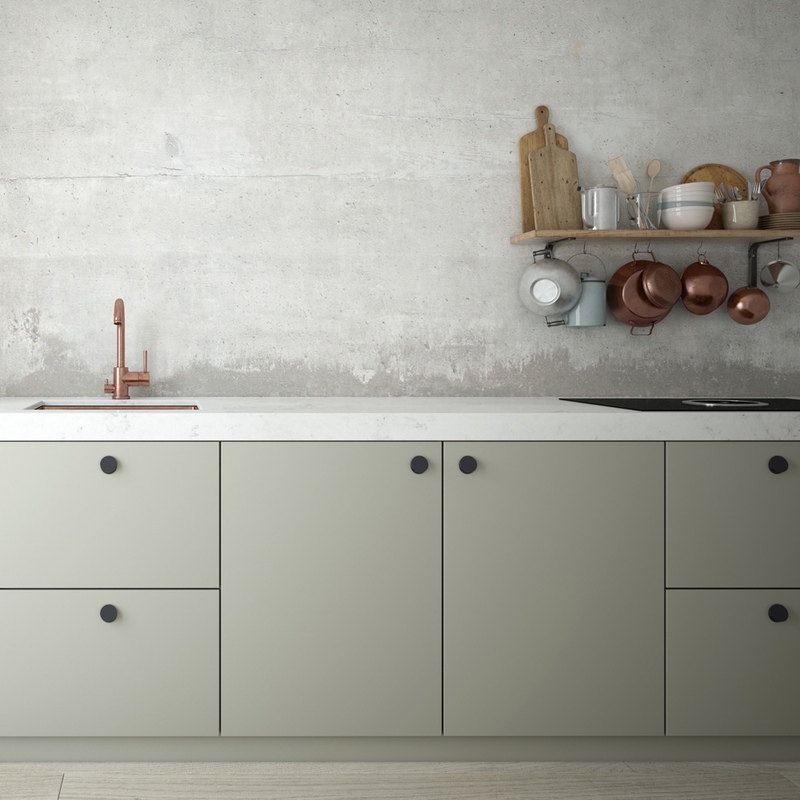 New company Plykea launched a series of birch ply doors and worktops that can be attached to IKEA’s ‘Metod’ kitchen cupboards. 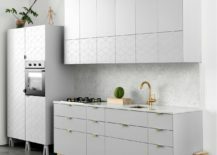 Digital product designer Tim Diacon wanted a speedy way in which to create a handsome kitchen on a finite budget. 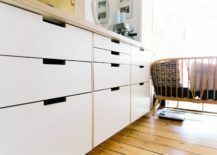 Already possessing an IKEA kitchen, Tim searched for a company that could make a set of birch ply fronts. 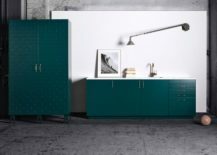 Unsuccessful in his quest, Tim turned to his friend Adam Vergette for help—Adam is a furniture designer and a one-time production worker with Vitsœ. 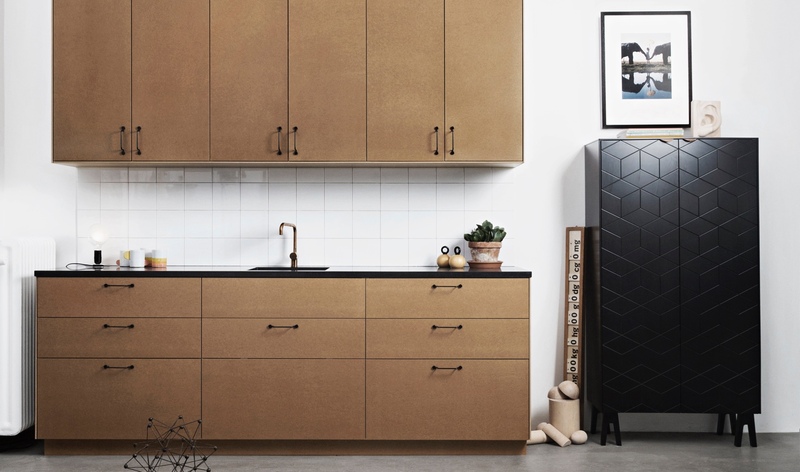 The two men hatched a plan to create an online service that would provide reasonably priced bespoke plywood doors, drawer fronts, worktops and cover panels for IKEA kitchen cabinets: and so Plykea was born. 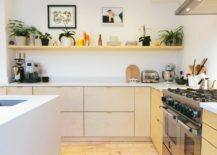 Plykea kitchen hack using FSC certified birch ply and brass pull handles. 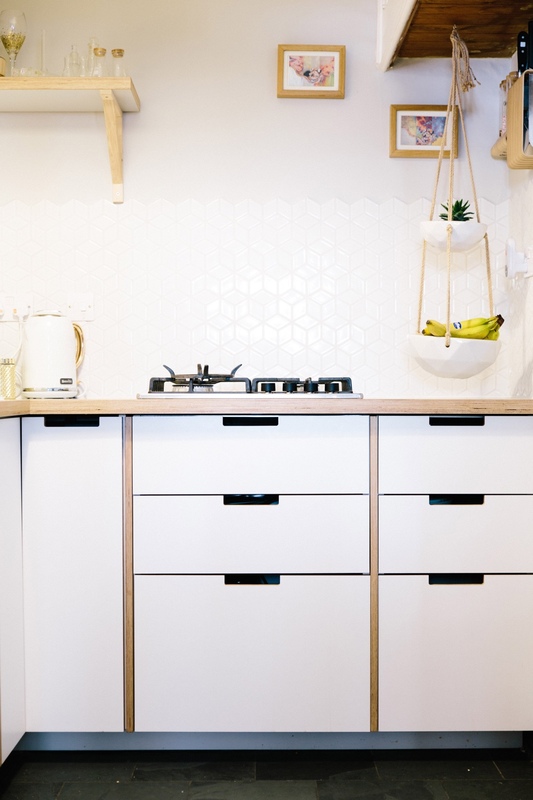 Plykea kitchen hack using Formica ply and grab handles. 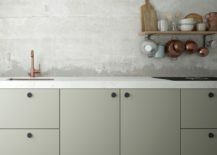 Finnish company A.S.Helsingö transforms the look and appearance of IKEA’s Metod and older Faktum kitchen systems. 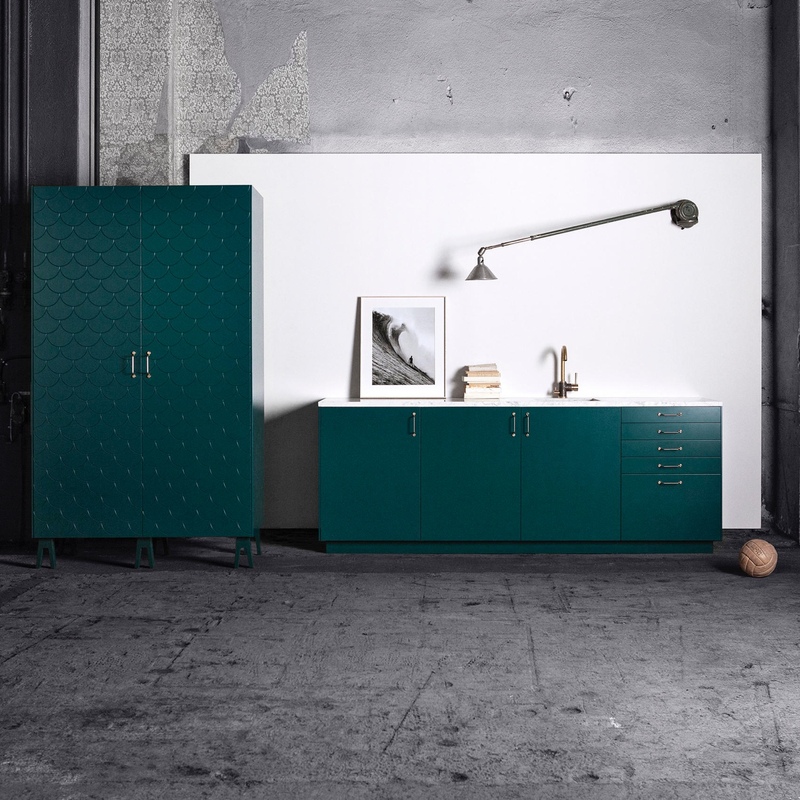 A.S.Helsingö’s doors and handles are created by Scandinavian designers and Finnish carpenters. 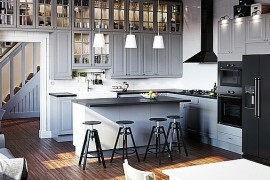 They’re made to order in a small Finnish countryside community, using quality materials and traditional craft methods. 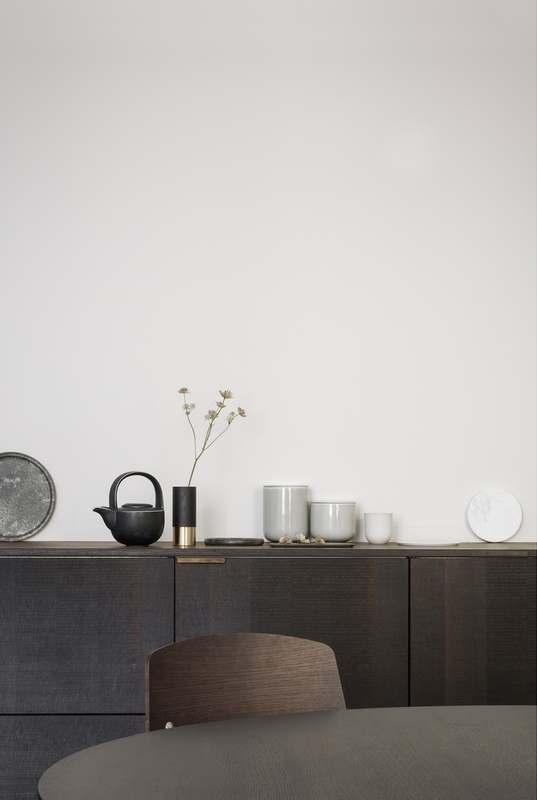 A.S.Helsingö’s Ingarö kitchen in Linen Brown. 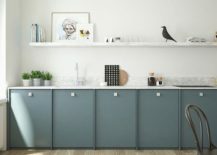 A.S.Helsingö’s Ingarö kitchen in Petrol Blue. 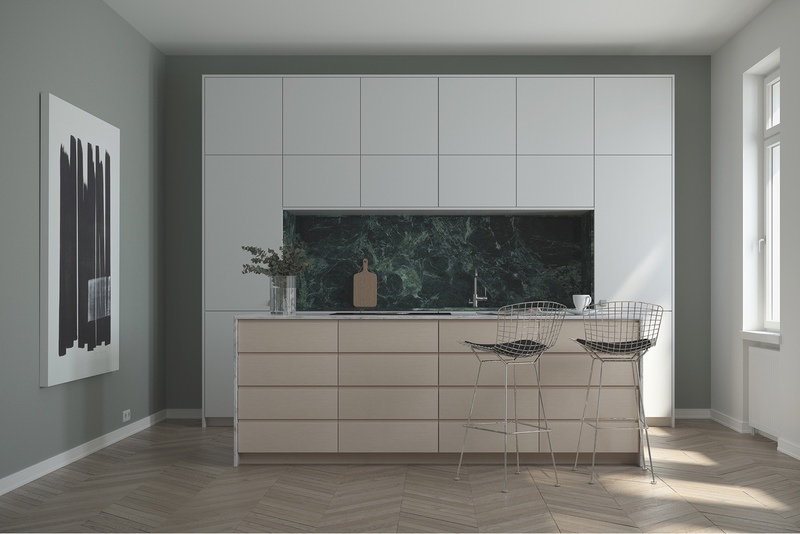 A.S.Helsingö’s Samsö & Ingarö kitchen in White Oak & Feather Grey. 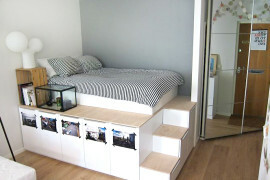 Photos © Furnishing Solutions by A.S.HELSINGÖ. 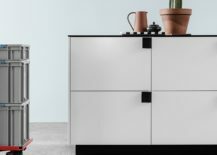 With Swedish brand Superfront, one can hack IKEA’s Metod kitchen with a colourful, patterned range of fronts, sides, handles and legs. 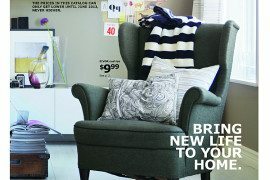 Superfront’s ‘Illusion’ and ‘No Pattern’ fronts in Ashton Grey. Superfront’s ‘Big Fish’ and ‘No Pattern’ fronts in Bottle Green. Superfront’s ‘No Pattern’ front in Naked.